Ruthless killers. Relentless villains. X-Men?! Today, Marvel is pleased to present your new look inside the highly anticipated UNCANNY X-MEN #1 – the new ongoing series from blockbuster creators Cullen Bunn and Greg Land! Eight months have passed since the end of Secret Wars, and the X-Men find themselves in a world that hates and fears them more than ever. 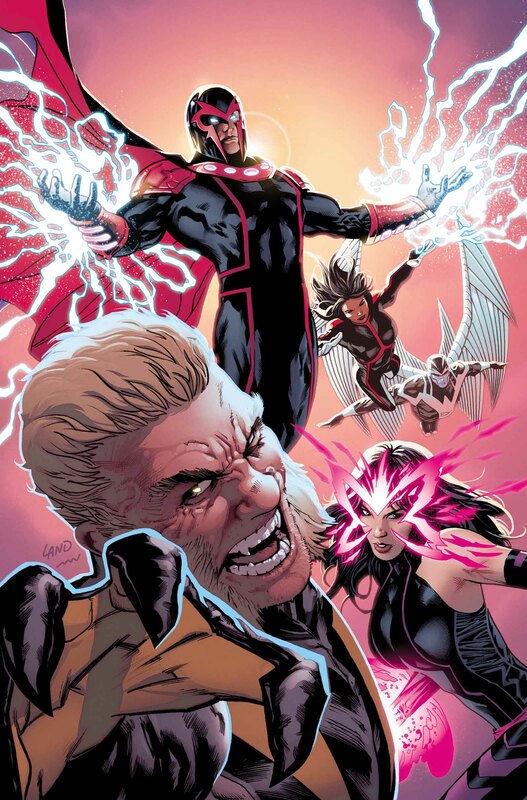 Refusing to accept one more mutant death, Magneto has gathered together the deadliest team of mutants ever assembled for one goal – to proactively eliminate any and all threats to their species. They’re not afraid to get blood on their hands. And if you see them coming, you should run the other way. But with a team full of villains, killers and all-around baddies – can they stop from killing each other long enough to take out their enemies? Find out this January in the bombastic debut of UNCANNY X-MEN #1!